Revision Note (Jan. 11, 2014): I have replaced the clip from Umbria 1985 with a working version. Still in the process of cutting large movie files taken from VHS cassettes into clips, I noticed that my friend, the late Otto Flückiger has quite a lot of concert footage with bands either led by pianist McCoy Tyner or featuring him prominently. The reason for so much footage with Tyner in Otto’s collection is not necessarily because Otto was fanatic about Tyner. Otto taped everything from the TV that was in what way ever connected to Jazz. And McCoy Tyner made a lot of tours in the 1970s and 1980s, his group was a regular feature on Jazz festivals around the world. So it really is no wonder that there is a lot of McCoy here. Mainly to get a grasp of what is there, I have extracted all of the McCoy Tyner footage on these cassettes. Now that I am finished doing so, I thought why not present these rare clips on this here blog. The band consists of Tyner (p), Azar Lawrence (sax), Juini Booth (b), Alphonse Mouzon (dr). The way I understand it, parts of this concert also have been released on an LP. Since I do not own this one, I can not tell you what exactly is being played here. 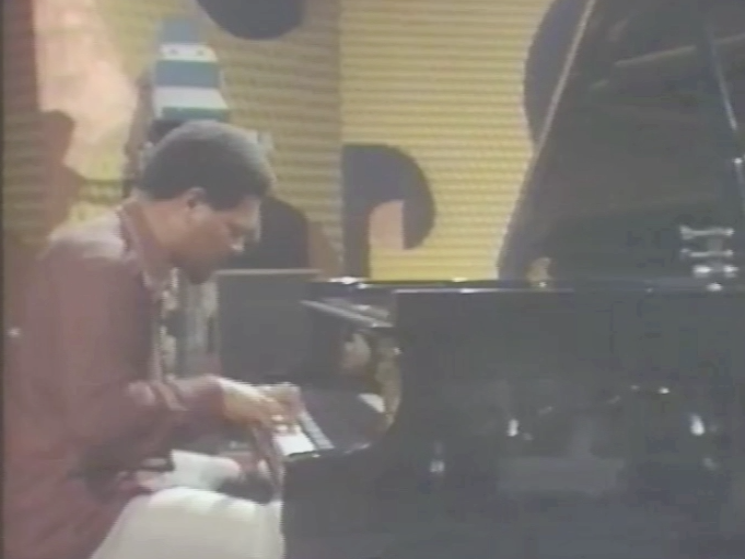 The Quintet in this clip: McCoy Tyner (p), Gary Bartz (sax), John Blake (violin), John Lee (eb), Wilby Fletcher (dr). I just have this excerpt from the show, showing McCoy playing a solo version of “You Taught My Heart To Sing” (Notice the funny subtitle, maybe someone from the TV station did not like the music?). The above clip comes from the 1989 Montreux Jazz Festival. Besides Benson and Tyner you will see and hear bassist Avery Sharpe and drummer Aaron Scott.